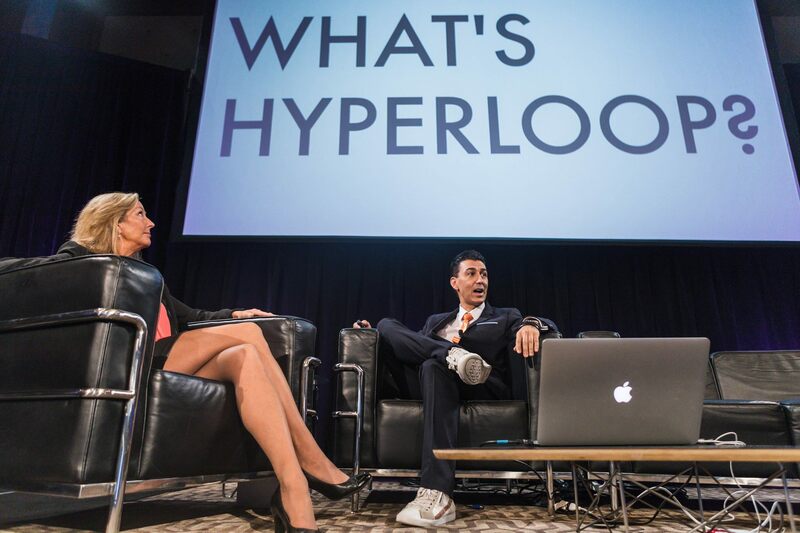 Hyperloop Transportation Technologies (HTT) wants to take you from Denver to Las Vegas in less than an hour, and D.C. to New York in 30 minutes. Bibop Gresta, chairman of (HTT), took to the stage Thursday at the FiRe conference to educate and update attendees on the company’s current status and future vision. This world-changing technology utilizes an above or below ground tunnel. The tunnel carries capsules, powered by a series of magnets, which start to levitate at 20 mph and can reach speeds up to 760 mph. Gresta said that to create this new industry, HTT is trying to build on what’s been done before rather than starting everything new. Hyperloop minimizes new infrastructure by developing ways to pair the system with highways and railroads already in place. He said they plan on having agreements in place with countries to begin testing within 34 months. The main tech and design is there, and they are ready to build. This new technology doesn’t require government subsidies, because the company is energy net-positive. Gresta spoke about the effects of creating a disruptive technology. During the interview, Gresta showed a video that he said they don’t show to anyone, but did because “FiRe is a special place with brilliant minds.” The video depicted some actual testing of the technology. The company was presented with an award for Company of the Year from Future in Review. To discover more or read other articles from the conference, visit StratNews.com.